Be sure to ask about our Warranty, 5 years or 100,000 miles! 2006 Ford E350 12-Passenger Handicap Lift Shuttle Bus Starcraft Conversion Loaded ONLY 37,000 MILES! 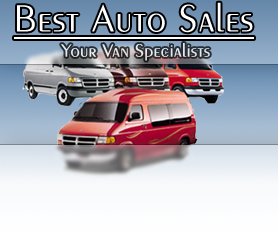 Copyright 2005-2012 © Best Auto Sales, Inc. all rights reserved. No images/graphical asset/animation may not be used without written permission.